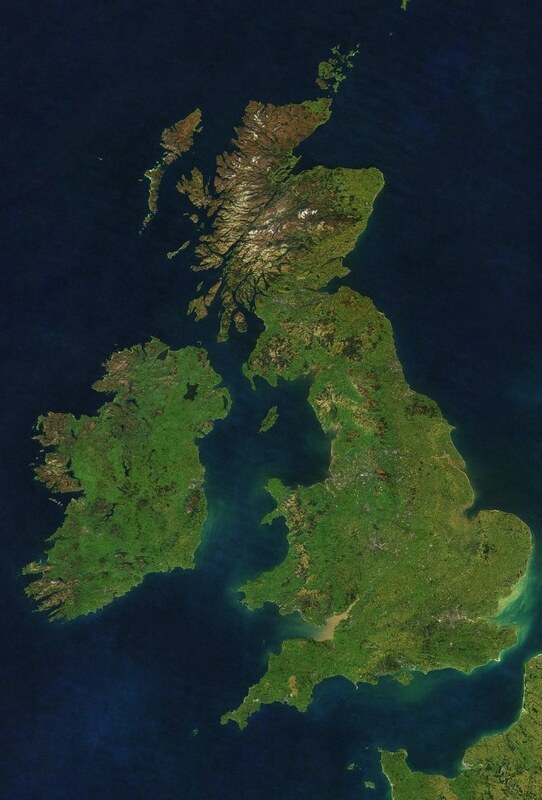 The fact that the British and the Irish both live on islands gives them a misleading sense of security about their unique historical identities. But do we really know who we are, where we come from and what defines the nature of our genetic and cultural heritage? Who are and were the Scots, the Welsh, the Irish and the English? And did the English really crush a glorious Celtic heritage? Everyone has heard of Celts, Anglo-Saxons and Vikings. And most of us are familiar with the idea that the English are descended from Anglo-Saxons, who invaded eastern England after the Romans left, while most of the people in the rest of the British Isles derive from indigenous Celtic ancestors with a sprinkling of Viking blood around the fringes.Yet there is no agreement among historians or archaeologists on the meaning of the words “Celtic” or “Anglo-Saxon.” What is more, new evidence from genetic analysis (see note below) indicates that the Anglo-Saxons and Celts, to the extent that they can be defined genetically, were both small immigrant minorities. Neither group had much more impact on the British Isles gene pool than the Vikings, the Normans or, indeed, immigrants of the past 50 years.The genetic evidence shows that three quarters of our ancestors came to this corner of Europe as hunter-gatherers, between 15,000 and 7,500 years ago, after the melting of the ice caps but before the land broke away from the mainland and divided into islands. Our subsequent separation from Europe has preserved a genetic time capsule of southwestern Europe during the ice age, which we share most closely with the former ice-age refuge in the Basque country. The first settlers were unlikely to have spoken a Celtic language but possibly a tongue related to the unique Basque language. Many archaeologists still hold this view of a grand iron-age Celtic culture in the centre of the continent, which shrank to a western rump after Roman times. It is also the basis of a strong sense of ethnic identity that millions of members of the so-called Celtic diaspora hold. But there is absolutely no evidence, linguistic, archaeological or genetic, that identifies the Hallstatt or La Tène regions or cultures as Celtic homelands. The notion derives from a mistake made by the historian Herodotus 2,500 years ago when, in a passing remark about the “Keltoi,” he placed them at the source of the Danube, which he thought was near the Pyrenees. Everything else about his description located the Keltoi in the region of Iberia. The late 19th-century French historian Marie Henri d’Arbois de Jubainville decided that Herodotus had meant to place the Celtic homeland in southern Germany. His idea has remained in the books ever since, despite a mountain of other evidence that Celts derived from southwestern Europe. For the idea of the south German “Empire of the Celts” to survive as the orthodoxy for so long has required determined misreading of texts by Caesar, Strabo, Livy and others. And the well-recorded Celtic invasions of Italy across the French Alps from the west in the 1st millennium BC have been systematically reinterpreted as coming from Germany, across the Austrian Alps. De Jubainville’s Celtic myth has been deconstructed in two recent sceptical publications: The Atlantic Celts: Ancient People or Modern Invention by Simon James (1999), and The Celts: Origins, Myths and Inventions by John Collis (2003). Nevertheless, the story lingers on in standard texts and notably in The Celts, a Channel 4 documentary broadcast in February. “Celt” is now a term that sceptics consider so corrupted in the archaeological and popular literature that it is worthless. Further evidence for the Mediterranean origins of Celtic invaders is preserved in medieval Gaelic literature. According to the orthodox academic view of “iron-age Celtic invasions” from central Europe, Celtic cultural history should start in the British Isles no earlier than 300 BC. Yet Irish legend tells us that all six of the cycles of invasion came from the Mediterranean via Spain, during the late Neolithic to bronze age, and were completed 3,700 years ago.